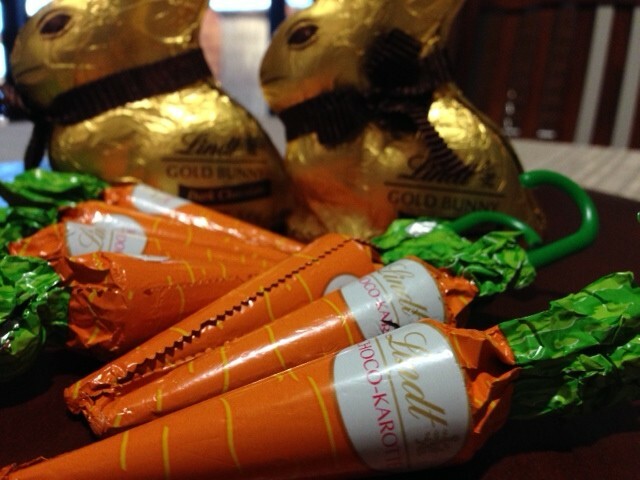 Gluten Free Geek » Blog Archive » Easter Chocolate! Happy gluten free Easter! I love Easter as I love chocolate, it is a four day long weekend and the weather is generally good, not too hot but not winter. But the best thing is the chocolate. I love Lindt chocolate particularly the Lindt balls but alas I cannot have these as the contain barley malt extract. In fact cannot have any of the milk chocolate generally. However I love dark chocolate so my Easter treat is always a dark chocolate Lindt bunny. 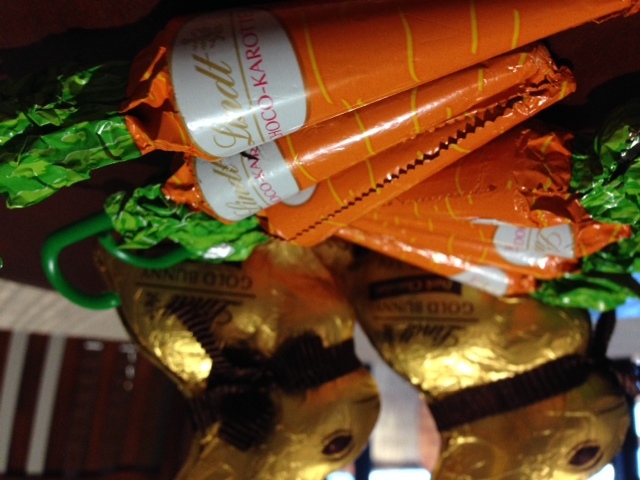 I also love the Lindt hazelnut milk chocolate carrots which only come out in the stores at Easter. So if you are gluten free you can still have some Lindt but just check the ingredient labels particularly to make sure don’t contain barley malt extract! I am not a huge fan of hot cross buns but at this time of the year will crave one anyway when everyone else is eating them. So I bought some hot cross buns from the Pure Bred range and was surprised they tasted pretty good when heated up in the oven and spread with butter while still warm.